Holmarc introduces a new and innovative product for digital inspection that offers automated optical inspection, imaging and documentation. Digital inspection microscope HO-DIM213D provide you with a broader range of functionality, flexibility and portability, expanding your capabilities beyond the traditional optical microscope. Our digital inspection product line features high quality digital imaging & video inspection stations and microscopy illumination products. UV to IR, we cover the entire spectrum. Holmarc Digital Inspection System utilize the finest quality optical components for crisp, accurate and colour correct specimen viewing. Combine these with one of our fine quality CCD or CMOS cameras to build a product documentation station. It is ideal for inspection of a wide range of objects such as synthetic and natural fiber, semiconductor, integrated circuits, solder joints and facilitates various processes such as surface analysis, quality control, defect analysis, metrology, biomedical imaging etc. 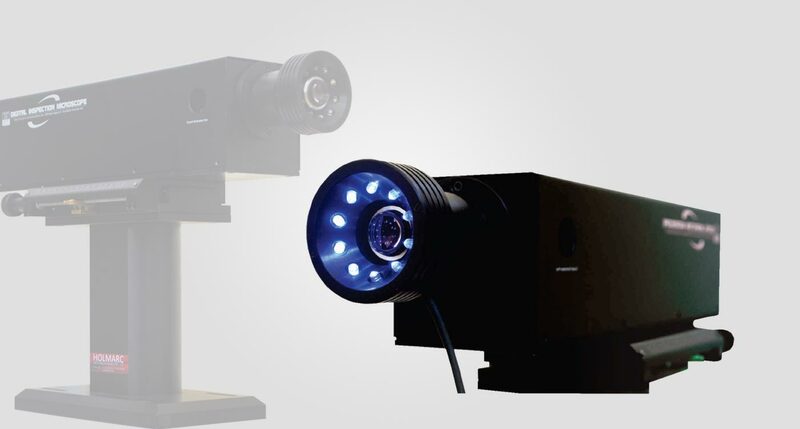 A wide range of adapters & auxiliary lenses, cameras, lighting options, video capture cards and stands are available to provide a custom solution. # Because of continuous product improvement, the various data listed are subject to change without notice. Please confirm before ordering. Sensor Size : 1 / 2.5"
We pay individual attention to our customers, and are ready to customize any of the parts to meet their needs. Contact us at sales@holmarc.com.